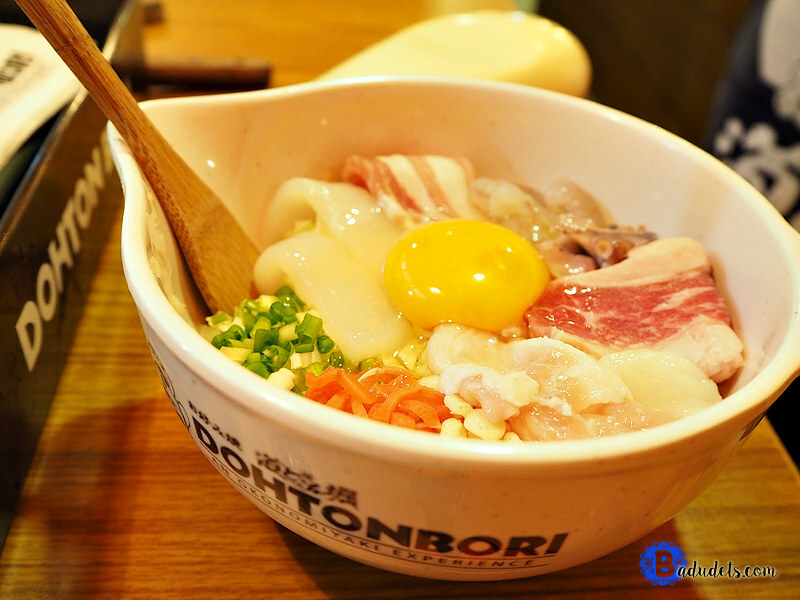 First taste of okonomiyaki at Dohtonbori Philippines | Badudets Everything Nice! We were seated at this enclosed area but there is also room where you would sit on the floor tatami style. I think this is cool for a real Japanese experience. 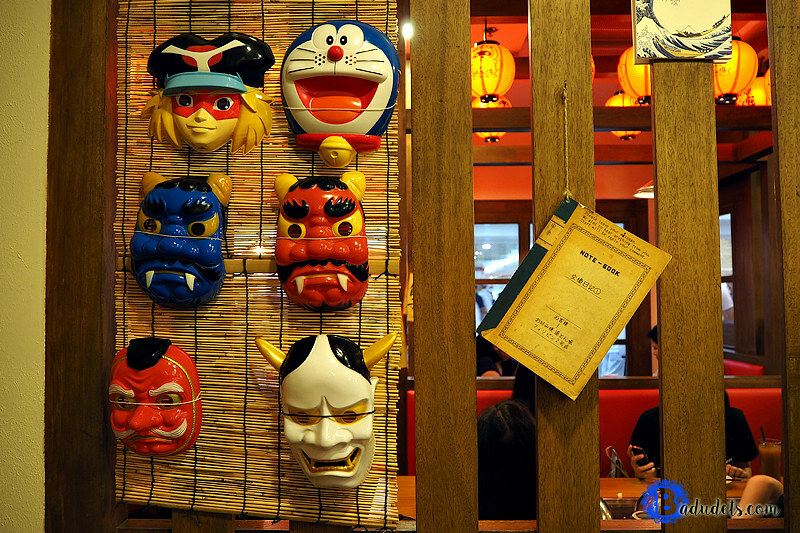 The interiors scream Japanese, I love these fun masks, unfortunately, they are not for sale. 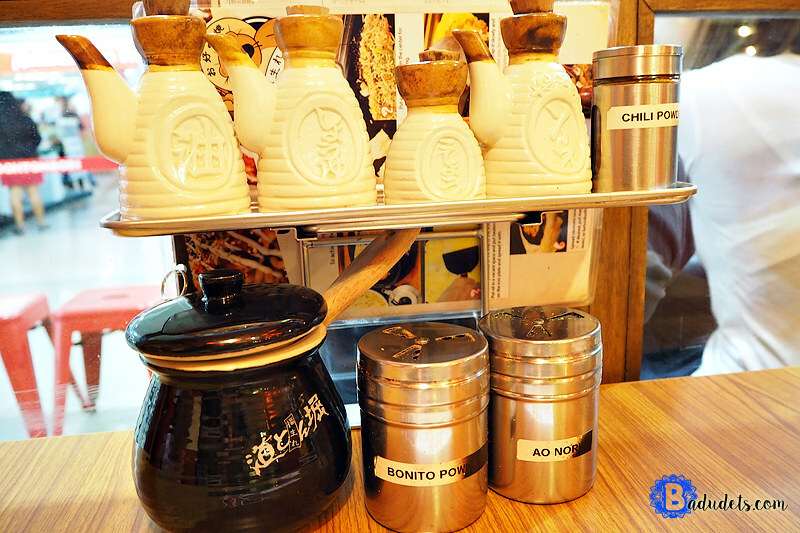 Most of the items on the menu will be cooked in front of you, there’s a grill in every table. The condiments are placed in every table, there’s the okonomiyaki sauce, bonito powder, seaweed flakes, oil, vinegar, soy sauce, chili, etc. I prefer restaurants that are generous with their condiments. Now, for the okonomiyaki. 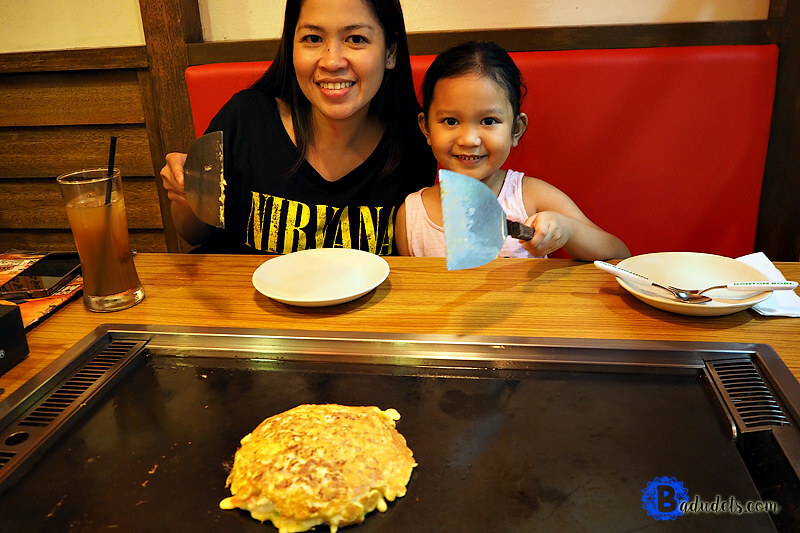 Okonomiyaki is a Japanese pancake or omellette. 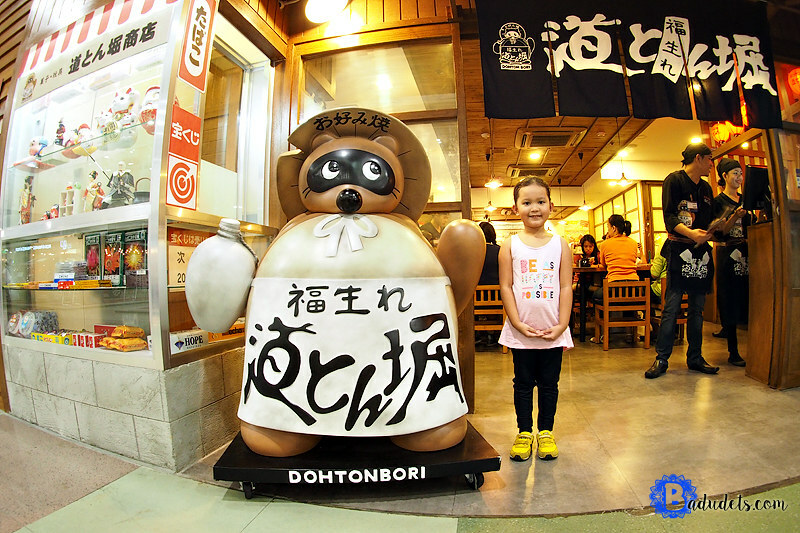 “Okonomi” means what you like, and “yaki” means grilled. 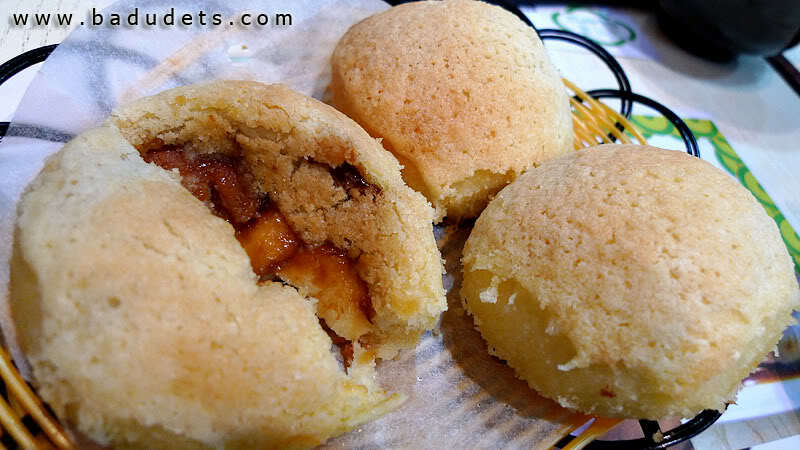 It’s basically a batter made with flour and eggs filled different ingredients such as chicken, pork, beef, cheese, fish, etc. Dohtonbori Philippines has 16 kinds of okonomiyaki, and being an okononiyaki noob, I asked the staff of her recommendation so she told me to try the Deluxe Okonomiyaki. 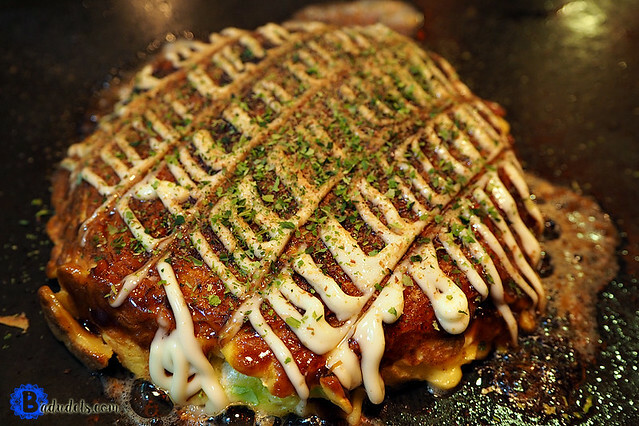 Deluxe okonomiyaki has everything on it, chicken, beef, pork, scallops, and octopus. They will bring this bowl with raw ingredients, you have the option to cook it yourself or ask them to cook it for you. 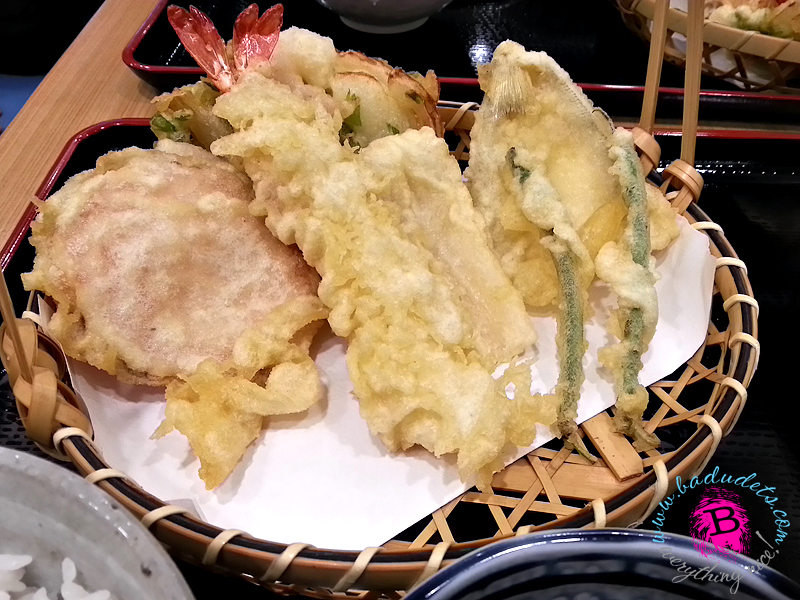 I asked the staff to cook it for us so that I can take a video on how it is cooked. Watch it below or watch in YouTube. 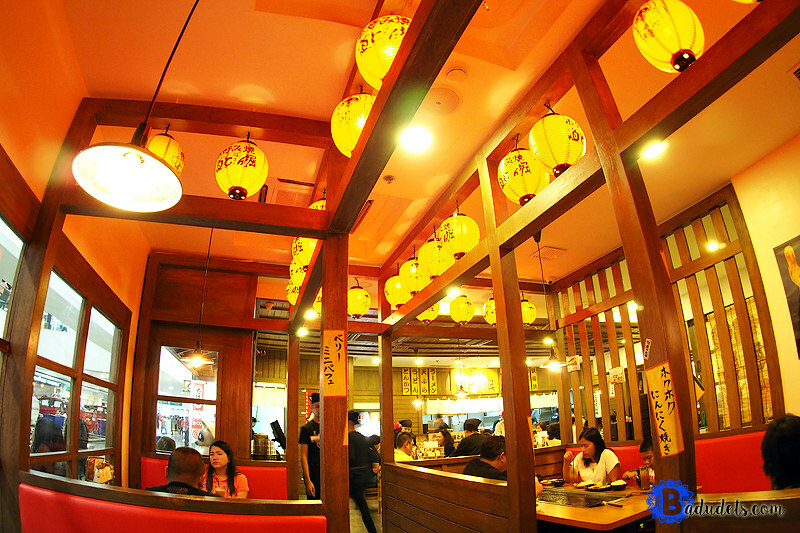 We can’t wait to taste our okonomiyaki. Finally, our deluxe okonomiyaki! Looks yum! This is good for 2 to 3 persons. 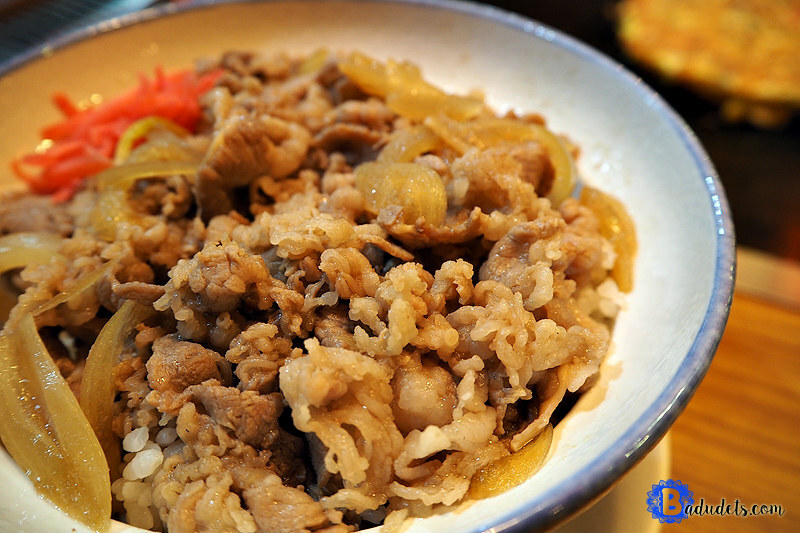 We also got a bowl of Gyudon. We’ve had better gyudon in other places though. 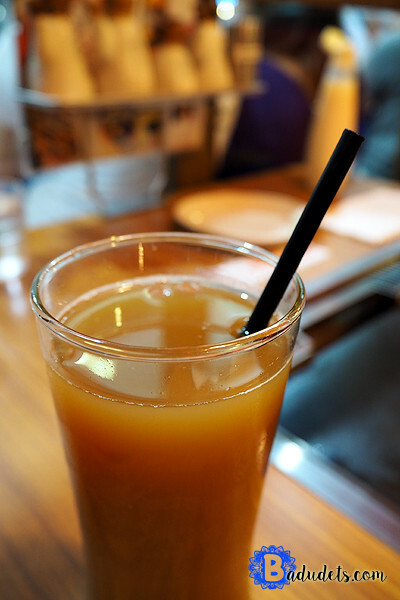 I like their iced tea, not the powdered sugary kind. 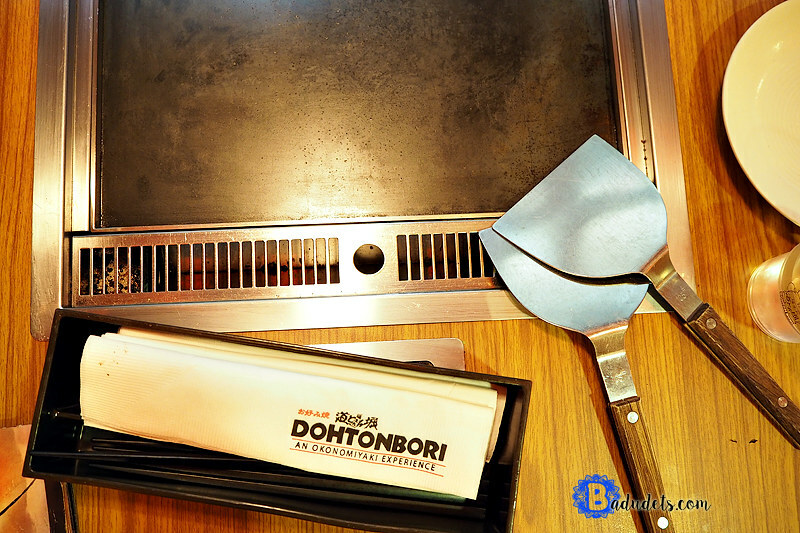 We loved our #OkonomiyakiExperience at Dohtonbori and we’ll surely be back to try their other types of okonomiyaki. That sounds like a great place to eat! 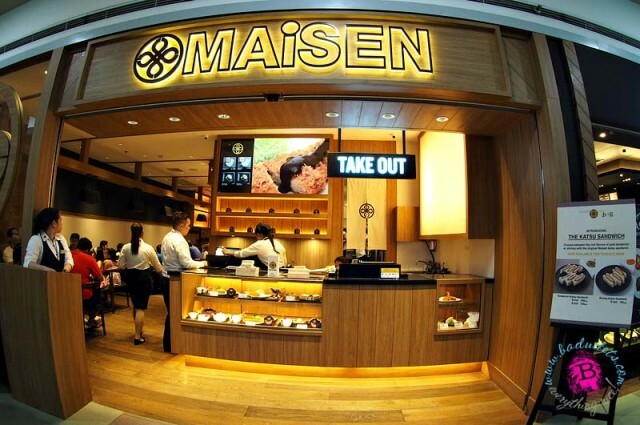 I would LOVE to eat there. The food looks awesome. That looks SOOO much better than what I could cook here! I would love to try this place. This food looks so good. We love Japanese food. I think it’s fun to watch they cook your meal at the table. I will have to take my youngest one day for lunch. The Philippines is somewhere that I’ve always wanted to travel to. The food looks absolutely delicious! Looks like a wonderful place to visit and grab lunch. I’ve never been to the Philippines but the food looks so yummy. What a fun experience! I love that you get to eat an amazing meal and learn all about preparing it too. Looks delicious! I would definitely eat that but I would prefer a seafood variation since I don’t eat meat. I do like the combination of all those flavours. Omg everything about this restaurant looks delicious!!! Definitely wishing it was a tad bit closer so I could give it a try for myself! 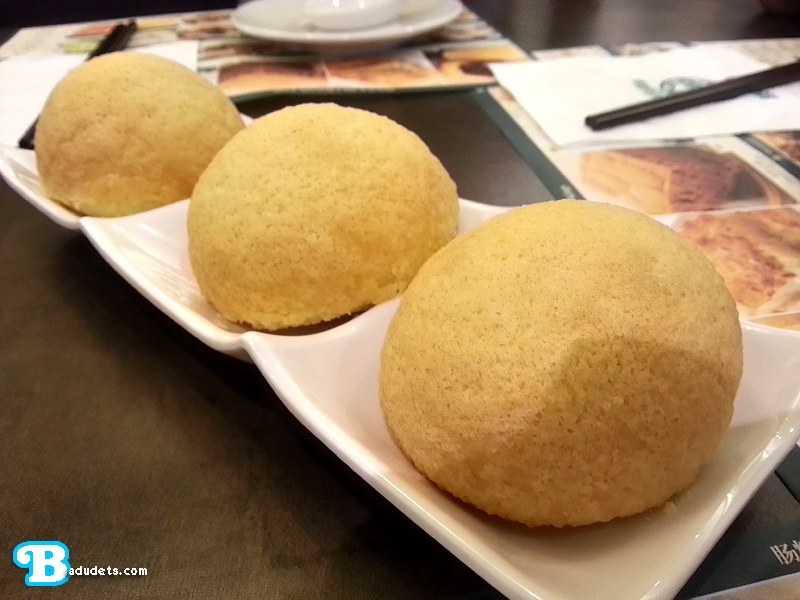 The phillipines have such a rich culture filled with delicious food! I would love to be able to try these dishes. This food looks amazing. 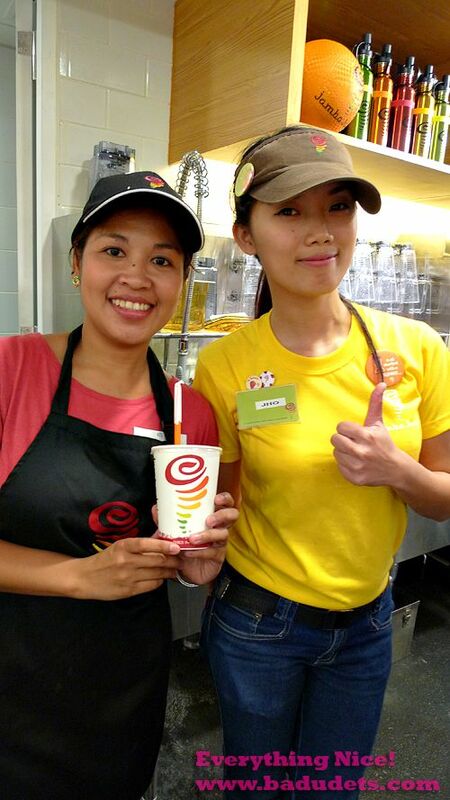 I would love to check this place out the next time i am in the area. I like how the ambiance looks like. I will keep this in mind when we visit. That looks like such a fun and yummy place to eat!! We love Japanese food. It is so much fun to watch them cook it at your table!! I love the idea of having the food cooked in front of you! Everything looks so good! Oh man, all of this looks so dang good. I really want to eat it. Thanks for sharing!